In the 22th Century, the people of the Solar System have banded together against an alien invasion. Unfortunately, they&apos;re losing--badly. As the only Natural remaining in the genetically engineered officer corps of the United Planet&apos;s fleet, Henry Gallant has unique mental abilities that have proven essential to the defense against the Titan invaders. Nevertheless his fellow officers lack faith in him, and worse, he has angered prominent men by speaking truth to power. Despite this, Admiral Collingsworth has given him command of the Warrior, the most advanced stealth warship in the UP arsenal and ordered him to the alien&apos;s main base to spy, intrigue, and disrupt their war capacity. Gallant&apos;s mission leads to risky battles and painful choices, but no choice is more personal, or intimate, than the choice to face your own death. And for Henry Gallant--a flawed young man, in a hopeless situation, against overwhelming odds--a dreadful decision looms before him. He has only one saving grace--he is unafraid. A good story b ut very slow and really lacking in action!! 5.0 out of 5 starsAnother excellent story! My only disappointment was that it ended so quickly! I read it in one sitting it was so compelling. Let's hope number 4 will be on its way soon. The saga of Henry Gallant is full of well realized characters, exciting missions, a suitably alien antagonist and a bureaucracy back home that doesn't have its mind on the people on the sharp tip of the fight. In addition to the alien invasion which threatens human expansion in the solar system, and, eventually beyond, we have the age old class struggles. Stories like this remind us that money, social status, ethnicity, and connections matter very little when lives are on the line right now. I hope the stories continue until Henry becomes more socially confident and realizes his own attractiveness. I also hope for more Naturals to crop up so that the old idea of genetically engineering supermen is discredited again. These are a good choice for fans of John Ringo, David Weber, and Robert Heinlen. Henry Gallant's adventures continue in this third book and I thoroughly enjoyed it. In Henry Gallant and the Warrior, Henry has been promoted and is in command of the UP's latest ship - a stealth capable vessel with the latest weapon a FASER cannon (a smaller version of the prototype used in the first Henry Gallant book). His orders are to take the stealth ship out to Jupiter and Saturn to spy on the Titan's bases, and gather intel on the Titans. Most of the action is in the latter part of the book while the bulk provides readers with the often tense long periods of inaction the crew go through as their analysists try to unravel the Titan's communications before sending it back to Mars. Henry continues to deal with people's prejudices against Naturals like him and he has the opportunity to mentor Midshipman Michael Gabriel, a likeable young man and well liked by the crew of the Warrior. 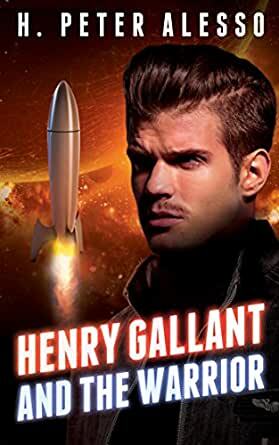 I really liked this book, the author does a good job of developing Henry Gallant - he is flawed, often questioning himself and his decisions, but he also has bags of courage as he stands up for himself, faces down those who don't believe in his capabilities because he is a Natural and seeks to prove them wrong. What is becoming increasingly clear with each book, is the UP is or may be concerned about where his natural ability to interface with AIs will lead - is it something to fear? I also liked the tension that develops between Henry and SIA (Solar Intelligence Agency) operative Julie McCall as they take opposing viewpoints on the analyised data they receive from the Titan's communications; Alesso does a great job showing McCall has a woman who bound by prejudice and concerns for her job rather than taking a risk that her position maybe wrong and Henry's interpretation may actually be correct. A really great read. I read Book 2 in this series last summer and have been anxiously awaiting its follow-up. This is an epic sci fi series that has some great elements put together, making it one that I have put on my watch list. Henry Gallant, living in the 22nd century, is the last in his officer corp that isn't genetically engineered. Despite this, he has some natural abilities that give him an edge as they fight the Titan invaders. His differences and his gifts don't endear him to his fellow officers but he is placed in charge regardless. There is some great action in this follow up and the suspense has built up in an awesome battle for survival. 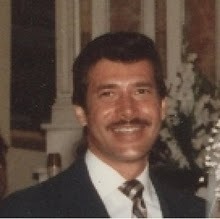 Another great read from author H. Peter Alesso. This is yet another excellent installment in the "Henry Gallant" space opera series. At 178 pages this is a fairly quick read, but it is a good, fast-moving story that has a good ending in and of itself but which also sets us up for the next one. That is fine, as I have come to like and enjoy this series. I did think that the ending was a bit abrupt and could have been fleshed out more. I will eschew spoilers but I suspect many fans of this series will agree with me. The writing in this series seems to vacillate as from between very good, even poignant, to somewhat clumsy and stilted. Both styles are present here. Henry's lost of the girl to the churlish aristocrat is truly a sad and evocative part of this story, and the writing in that section of these books has often been superb. Other times not so much. No matter; overall these are fun reads and this story continues to hold the reader's interest and making us ask for more. I have read all the Gallant books and find it refreshing to read a book without a ton of poorly edited, misspelled words on every page. They are there but few and that makes reading the story much more enjoyable as you don't have to guess what the line is. Henry's experience as a NORMAL is challenging and met with so much dislike and disrespect from the genetically enhanced that you see in him a fierce desire to prove to himself he is a good man and expects much from himself as in this story of spying and sabotage against the enemy. He has with him someone who refuses to believe a NORMAL can find answers a genetic superior person such as herself cannot and she out ranks him. His crew rally around him to achieve the mission and continues on to his next mission.